The James Clerk Maxwell Telescope (JCMT) is a submillimetre-wavelength telescope at Mauna Kea Observatory in Hawaii. The telescope is near the summit of Mauna Kea at 13,425 feet (4,092 m). Its primary mirror is 15 metres (16.4 yards) across: it is the largest single-dish telescope that operates in submillimetre wavelengths of the electromagnetic spectrum (far-infrared to microwave). Scientists use it to study the Solar System, interstellar dust and gas, and distant galaxies. The JCMT started operations in 1987, and was funded until February 2015 by a partnership between the United Kingdom and Canada, and the Netherlands. It was operated by the Joint Astronomy Centre and was named in honour of mathematical physicist James Clerk Maxwell. In March 2015 the operation of the JCMT was taken over by the East Asian Observatory. The telescope was combined with the Caltech Submillimeter Observatory next to it, to form the first submillimetre interferometer. This success was important in pushing ahead the construction of the later Submillimeter Array and the Atacama Large Millimeter Array interferometers. In recent years it has also taken part in Event Horizon Telescope observations, which produced the first direct image of a black hole. In the late 1960s, the Astronomy Committee of the UK's Science Research Council (SRC, the forerunner of STFC) considered the importance of astronomical observations at submillimetre and millimetre wavelengths. After a series of proposals and debates, in 1975, the SRC millimetre steering committee concluded that it would be possible to construct a 15-metre diameter telescope capable of observing at wavelengths down to 750 µm. The project, then called the National New Technology Telescope (NNTT), was to be an 80/20 per cent collaboration with the Netherlands Organisation for the Advancement of Science. 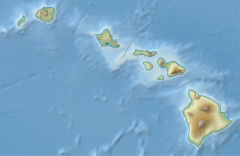 Site tests were made at Mauna Kea in Hawaii, the Pinaleno Mountains in Arizona, and a site in Chile; and Mauna Kea was chosen. The NNTT was to be larger and with more instruments than competing telescopes such as the CSO and SMT. The final specifications called for the "world's largest telescope optimised for submillimetre wavelengths". It was to be a parabolic 15-metre antenna composed of 276 individually adjustable panels with a surface accuracy of better than 50 µm. It would be an altitude-azimuth mounted Cassegrain telescope with a tertiary mirror to direct the incoming radiation onto a number of different receivers. The antenna and mountings were to be protected from the elements by a co-rotating carousel with a transparent membrane stretched across the carousel aperture. Building work started in 1983 and went well apart from a small delay caused by the hijacking of the ship carrying the telescope across the Pacific by modern-day pirates. The telescope saw first light in 1987. The name for the final facility was changed to the James Clerk Maxwell Telescope. The telescope itself was operated by the Joint Astronomy Centre (JAC), from Hilo, Hawaii. From 1987 until March 2013 this the telescope was funded by a partnership of the United Kingdom (55 percent), Canada (25 percent), and the Netherlands (20 percent). In 2013 the Netherlands withdrew, and until 2015 the shares became UK 75 percent, Canada 25 percent. In March 2015, the UK and Canada handed over ownership of the JCMT to the East Asian Observatory, which is funded by Japan, China, Taiwan, and South-Korea, together with a consortia of Universities from the United Kingdom and Canada. The JCMT has two kinds of instruments—broadband continuum receivers and heterodyne detection spectral line receivers. Continuum emission is a tracer of star formation in other galaxies and gives astronomers clues to the presence, distance, and evolution history of galaxies other than our own. Within our own galaxy dust emission is associated with stellar nurseries and planet forming star systems. Spectral-line observations can be used to identify particular molecules in molecular clouds, study their distribution and chemistry and determine gas velocity gradients across astronomical objects (because of the doppler effect). The older continuum single pixel UKT14 bolometer receiver was replaced around 1995 by the Submillimetre Common-User Bolometer Array (SCUBA). This instrument operated simultaneously at wavelengths of 450 and 850 micron (with 91 and 37 pixels, respectively), and was sensitive to the thermal emission from interstellar dust. SCUBA was a ground-breaking instrument, among the most high-impact astronomy instruments from 1997-2003; it was retired from service in 2005, and is now in the National Museum of Scotland. SCUBA was succeeded by SCUBA-2, which was commissioned in 2011. This ground-breaking camera consists of large arrays of superconducting transition edge sensors with a mapping speed hundreds of times larger than SCUBA. It has 5120 array elements at both 450 and 850 micron wavelength (10,240 total pixels). It has been conducting the JCMT legacy surveys since November, 2011, including the SCUBA-2 All Sky Survey, and was made available for general astronomical observations in February, 2012. Two ancillary instruments, FTS-2 and POL-2, add spectroscopic and polarimetric capabilities to SCUBA-2. The JCMT is also equipped with three heterodyne receivers, which allow submillimetre spectral line observations to be made. The spectral-line mapping capabilities of the JCMT have been greatly enhanced by the commissioning of HARP, a 350 GHz, 16 element heterodyne array receiver. HARP, and the other heterodyne instruments, can be used in conjunction with the JCMT's new digital autocorrelation spectrometer, ACSIS. One of the heterodyne receivers is named Namakanui ("Big-Eyes"), referring to big-eyed fish that swim in Hawaiian waters at night. Wikimedia Commons has media related to James Clerk Maxwell Telescope. ^ "East Asian Observatory - Hilo, Hawaii". eaobservatory.org. ^ "SCUBA-2 News Blog". SCUBA-2 News Blog. ^ Staff (2017). "James Clark Maxwell Telescope - 86, 230 and 345 GHz Bands – Namakanui Overview". EAObservatory.org. Retrieved 14 April 2019. ^ Mele, Christopher (13 April 2019). "That First Black Hole Seen in an Image Is Now Called Pōwehi, at Least in Hawaii". The New York Times. Retrieved 14 April 2019.